Here's a TVR you can legally own in the United States. They were actually imported and sold here by TVR. The 280i engine is the Ford 2.8L "Cologne" V6. It doesn't have the grunt a V8 has, but in a car as light as a TVR it makes more than enough power to move the car at a good pace. 60 MPH comes in about 8 seconds. The body is a matter or personal taste. If you don't like the 70s / 80s wedge styling, you most likely won't like this car. It took that style to the nth degree. Me? I love that style and find the 280i to be very attractive. 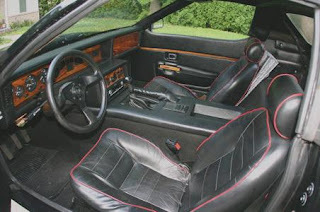 The interior is typical 1980s car, with a blocky (for lack of a better word), modular dashboard. This car has been well taken care of by its owner. It's only real flaw is non-working heat and air conditioning. 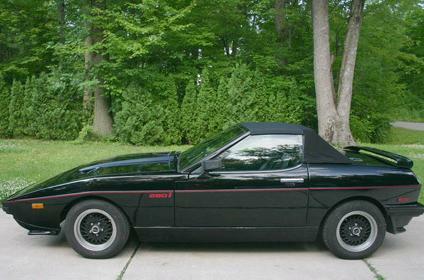 But, as the seller mentions, this is a nice day, top down car, so A/C and heat isn't a big issue. Located in Livonia, MI, click here to see the eBay listing. 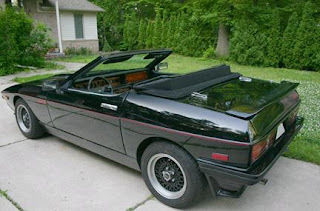 Personally, I have always loved the 'wedge' cars of the 70's (even the TR7 coupe). However, the Tasmin/280i never appealed to me design wise as its proportions just look awkward (insert sarcastic comment about the TR7 coupe here). That said, it is still a pretty cool car and it is sad that the best TVR's after the Tasmin/280i were not imported to the States. And even sadder that the company is essentially kaput. It's a great looking car until you realize the body is fiberglass. It may as well be a kit car. true about the fiberglass body, but i find that a bonus. no rust issues and the tubular chassis was powder coated. 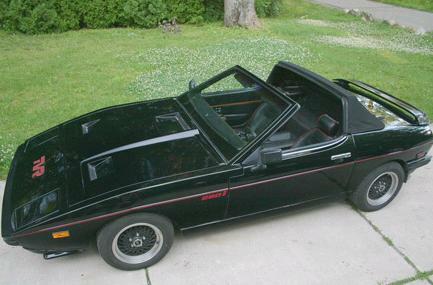 lets keep in mind many lotus cars and all corvettes are also fiberglass.